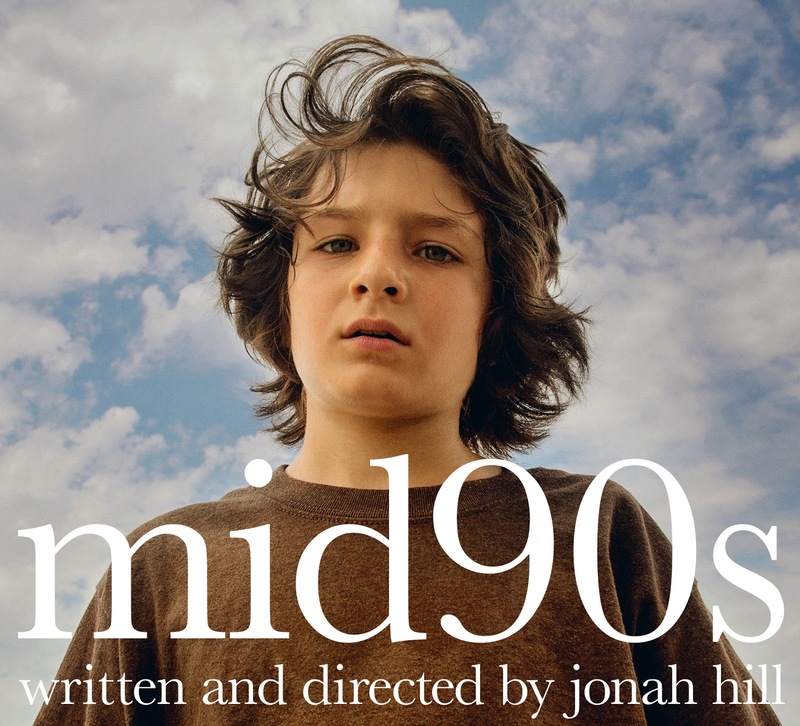 Jonah Hill moves from star to writer-director with this nostalgic look at the life of a young boy who finds his place among some skateboarding kids who, let's try to be polite here, mostly don't seem to have any clue about the work-life balance attitude they will need to get through approaching adulthood. Sunny Suljic plays Stevie, the young boy who spends a lot of his time trying to avoid being beaten up by his older brother (Ian, played by Lucas Hedges). But as well as being afraid of his sibling, Stevie obviously looks up to him, and that may well be the male figure he tries most to emulate on his way to finding himself, until he starts to hang around with some boys who enjoy spending their time skateboarding and generally trying to impress one another. A couple of the group members have ideas about things they want to do well in life, another couple can't really see themselves beyond the image they have established within the group. Such is teenage life. The influences on Hill are obvious throughout his feature directorial debut, which is at least accomplished and more mature throughout than many might expect. Although nostalgia is at the heart of things, this is a film that feels more like a patchwork of other films than the semi-autobiographical experience it's supposed to be. Kids is a big touchstone, as is This Is England (both acknowledged by Hill as some of the main influences). In fact, despite the skateboarding aspect of the plot, this hews a lot closer to This Is England than any other film that Hill decided to use as a "template" for his tale. Unfortunately, there's nothing new here, which would be fine if it didn't all feel slightly stale and overdone. For me, if I want to watch some skateboarding teens then I will watch some of the fine documentaries that have been released over the years. If I want to see turbulent teen years onscreen then I can pick from literally hundreds of other movies. And if I want something to identify with then, well, I'll obviously be looking at the home-grown UK films that seek to capture snapshots of past decades. Mid90s is perfectly fine, for what it is, but there's no single aspect of it that can't be found, in a better form, in many other movies. Suljic is good in the lead role, and I hope to keep up with whatever he does after being impressed by his last few movie roles, and the rest of the teens he befriends do fine. Na-kel Smith fares the best, thanks to the script, but the performances from Olan Prenatt, Gio Galicia, and Ryder McLaughlin are all on the nose. Alexa Demie is the one young girl featured in the cast, she does well, and Katherine Waterston puts in another performance that fails to convince me why she is ever the first choice for any role, aside from her surname. But it's Hedges who is actually given the best role, which makes it more disappointing when his character is not explored further. He's more complex than his younger brother, and has seen more that is only mentioned in passing once or twice. His past would seem to make a better film than the main character's present, but that's not the movie we are given. Despite what I have said here, in terms of my own ultimate ambivalence towards the film and my preference for the Shane Meadows work it got me thinking of, I can see why this will obviously appeal more to American viewers who can have their own teen experiences to feel nostalgic for, accompanied by an appropriate selection of tunes from that era. It didn't work that well for me but, then again, I am not the target audience. Americans can already buy it here.